How can you keep drifting if the car runs out of gas? The Guinness Book of World Records is full of car-related records. Even after so many years, people keep on coming up with new ways to set cool records with cars. BMW driving instructor Johan Schwartz once held the record for the longest drift, although by a Toyota GT86. One of the things that limited BMW in the last attempt was running out of gas. After drifting for so many hours, even a frugal car is bound to run out of gas. The new Guinness rules would allow for a larger tank, but BMW went for a more spectacular solution. 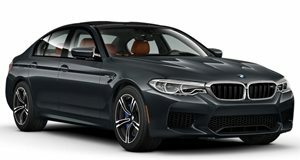 Instead of simply putting a larger tank in the new M5, BMW decided to have a second (previous generation) M5 drift next to the record car to refill its tank. This may be a bit of a convoluted approach, but it is certainly fun to watch. The newest BMW M5 actually uses an that can be converted to RWD at the push of a button. We know that the new, 600 hp M5 is than the previous generation car, but we are happy to see that BMW hasn't sacrificed any of the tail-happy fun. BMW will attempt this new record today (January 9), but the company has released plenty of behind the scenes videos to show us how cool this record will be.